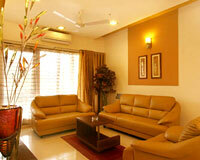 The Orchard Resort is easily accessible by Mumbai-Pune Expressway. 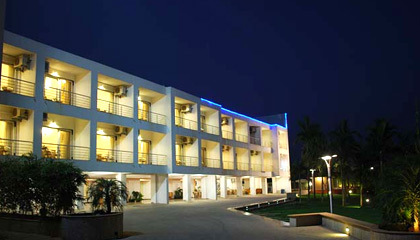 A perfect epitome of luxury and grace, The Orchard Resort is a luxurious holiday and business hotel in Lonavala. 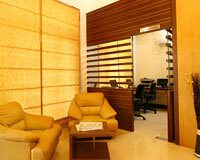 The hotel has a superb structure, done up with lavish interior and sleek decor, which evokes sheer extravagance. To please both national and international traveler, it features luxury rooms loaded with contemporary amenities and lavish furnishings. In addition to outstanding dining & wining facility, the resort has steam room, sauna, Jacuzzi and swimming pool for the ultimate leisure. 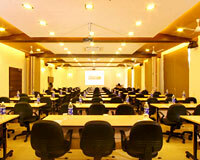 It comprises of state-of-the-art conference hall and business centre to go well with the needs of its corporate clienteles. 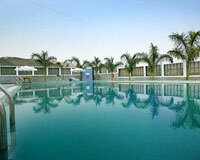 In succinct, The Orchard Resort excels as an ideal place to have an all enjoying holiday experience. 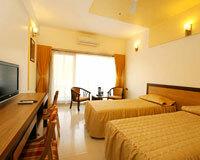 The hotel comprises 42 well-maintained rooms, categorized into Deluxe Rooms, Regent Suite and Oxford Suite. 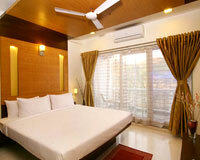 Each room is equipped with the latest amenities and elegantly done to provide the utmost comfort. 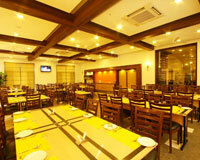 Tiffany's: A swanky restaurant that serves scrumptious Indian, oriental & Italian cuisines. 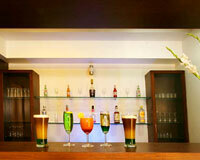 The Bar: A place to enjoy exotic liquor and cocktails in a relaxed setting.